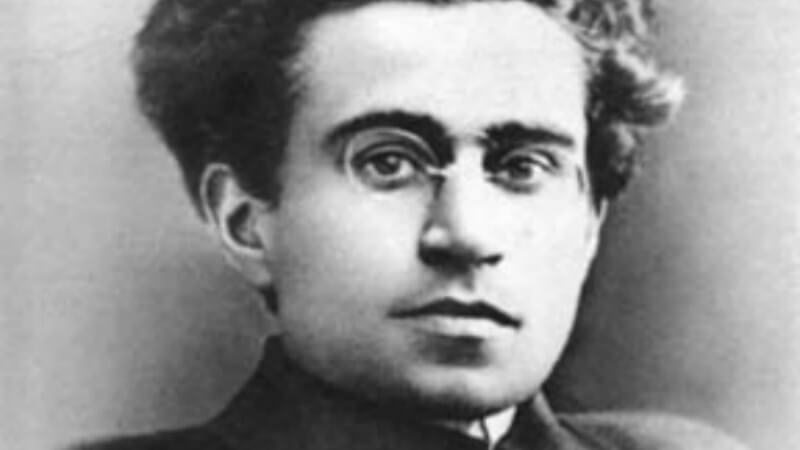 This year, 2017, is not only the centenary year of Lenin’s October Revolution but also the 80th anniversary year of the death of the greatest Marxist political scientist and one of the most subtle and original political thinkers of modernity, Antonio Gramsci. In March 2017, Global –e, the web publication of the 21st Century Global Dynamics Initiative of the University of California Santa Barbara, kicked off in Vol. 10 Issue 14, a series on ‘Public Imagination’ with an invited contribution by me entitled “The Great Gramsci: Imagining an Alt Left Project”. It generated several critiques, most notably one by Dr. Ronald Benedikter of Stanford University, entitled “Gramsci is Not the Answer. Does the Left Need A New Populism?” He opined that “Jayatilleka’s call for a new ‘populist nationalism’ of the left as an alternative to rightist populism is an idea that deserves serious discussion”, conceded that “Jayatilleka rightly calls for integration of “soft” nationalism and populism into the self-conception of the left” and engaged critically with “Jayatilleka’s plea for a leftist approach aiming to re-integrate the notions of nationalism and populism, to return to the idea of the left as a ‘people’s’ party…”. My essay was re-posted in an extended version meant for European readers, appearing together with a critical response by Jean-Pierre Page (a former leader of the French Communist Party affiliated trade union federation, CGT), on a number of ‘far left’/‘hard left’ websites of dissident Communists affiliated with the Melanchon campaign. What appears here is the complete (extended) version, the main section of which is the original, followed, as indicated by a subheading in the text, by the addendum for a European left readership. In the construction of a new public imagination, as in every other form of human endeavor, you are caught between two factors; you have to go back to where you got it wrong, but you can’t go back home again. The problem resides in the responses to the realities of our time (which a mechanistic Marxist may define as neoliberal imperialism); to the world order in both its political and economic dimensions. ‘Our time’ refers to contemporary history, the history of the world after the fall of global socialism. There is an absence of global public imagination on the left or progressive center-left, or rather, it is no longer global. What we have are competing blocs of opinion each of which contains fragments of the legitimate and the justifiable; elements of what’s true and real. These competing and internally contradictory blocs of opinion collide and collude, forming unprecedentedly complex heterodox patterns which are themselves fluid. As the century and the millennium turned, progressivism was being identified with liberalism and liberalism with the neoliberal status quo. What we didn’t know from the outside, was that devoid of a viable progressive alternative the neoliberal world order was spawning an equivalent fundamentalism within what Jose Marti called “the belly of the beast”. A strange mutation occurred in which stances which were once antithetical began to meld. Those of us who lived either in the Third world or the Second, saw a merger of human rights and military interventionism, resulting in the devastation of states and societies. The political options that we supported in the West, those of Clinton and Blair, became a grotesque nightmare. And soon we were caught between two nightmares: western (neo)liberal interventionism and the Frankenstein’s monster it spawned, namely radical Islamist terrorism—a religious version of Pol Pot’s Khmer Rouge which mutated into radical evil at the confluence of the Chinese Cultural Revolution and the massive US bombing of Cambodia. There’s right on every side of this; on the right and left of this. Is it possible to pull it together? Somewhere along the line, perhaps in reaction to class reductionism, the left forgot class and substituted identity and gender instead. And the Right picked it up. Somewhere along the line, the left forgot the nation and patriotism—and the Right picked it up. If you were in the Third or Second worlds, the radical religious Right picked it up. We were accustomed to Democratic ‘New Mandarins’—the ‘best and the brightest’—who took us into Vietnam, and we had lived through Republican administrations which went further than Democrats in a realistic breakthrough to Russia and China, but I never thought I’d see Russophobia as a marker of the liberal left in the US. The Left in the Third and Second worlds had watched the expansion of NATO to the Russian borders take place under liberal democratic governments, the Ukrainian coup and the attempt to do in Syria that which was done in Iraq and Libya, and we were glad that Putin was pushing back, restoring some sense of a global balance as against rampant unipolar impunity. Could one imagine that left liberals would accuse a rightwing administration of being “soft” on Russia and Syria? Doesn’t it seems crazy to anyone on the liberal left in the USA? With all the talk of fascism that’s going round, perhaps we should revisit the phenomenon and the context. Fascism was able to prevail not only because of the well-known split in the Left, but because the national pride that was wounded by the inequities of the Versailles Treaty, and the pusillanimity of the Weimar republic, was not given voice by the Left. The world order of that day had something wrong with it, just as did the liberal world order of our time. While this does not justify the Nazi option, it does not mean that every rightwing challenge to the liberal world order is fascist. Nor does it mean that the liberal world order should not be challenged. It is the failure of the contemporary progressives/ liberals in the West to challenge it that opened the space firstly for Brexit and then for Trump. Syriza was the only left alternative to throw down the gauntlet but Tsipras’ about-face even after the Greek people opposed the EU package at the referendum, opened the space in the West for or tilted the outcome to a rightwing populist answer to the crisis. In the West, Brexit was a revolt –and was denounced by the (cosmopolitan) Left. This was the first great failure of the Left: the absence of a sense of crisis, of the reality of the crisis. The enlightened were unable to relate to the angst of the working people, the directly productive working classes, of labor, that something is wrong and needs change. There was a Third world within the First, they weren’t only people of color; they were poor and white too. The liberal left was far too enamored of the need to defend the Obama ‘revolution’, when the mistakes had been made at the very outset of the presidency, with the bailout of the banks in place of a Rooseveltian New Deal and ending with the folding of the Obama legacy back into the Clintonian candidacy and heritage. The progressives were too far from Bobby Kennedy of the ’68 campaign; too much in tune with Hillary and too little with Bruce Springsteen’s blue collar blues. The second greatest failure of the progressives and Left that needs rectification in the construction of a new public imagination is the unavoidable issue(s) of the nation, nationalism and patriotism. Suffering in a fascist jail, Antonio Gramsci wrestled with what had gone wrong and what needed to be done to put it right. Our left contemporaries picked up on much of what he wrote on hegemony and culture except for one of his most important themes—that of the nation, nation building and state building. He understood that the left had abandoned those tasks and argued that picking up where Machiavelli left off was a task of the left, by which he meant wrestling with the tasks of nation and state building. Indisputably an internationalist, he significantly criticized “cosmopolitanism” as doctrine that hampered the task of nation building. It is not entirely illegitimate that in many parts of the world, for the Right and Left, Putin is a hero; almost a role model, as De Gaulle and Gaullism were at an earlier time. In Asia, Duterte is intriguing and fitfully admired as is Erdogan in his own land. All round the compass, nationalist populism, even when it doesn’t enjoy an arithmetical majority, seems to embody the Rousseauesque ‘General Will’. This is a symptom which cannot be ignored. The contemporary left abandoned Gramsci and instead embraced cosmopolitanism—and has paid the price. As with every serious revolutionary from Mao and Ho Chi Minh to Fidel Castro and Amilcar Cabral, he combined class, mass and nation into a ‘bloc’—and it was a ‘majoritarian’ bloc in the best sense of the word; not a collocation of minorities. A neo-progressive project needs to grapple with the crisis of neoliberalism, learning from the Latin American left to reject hegemonistic liberal-‘humanitarian’ interventionism which destroys national/state sovereignty in the global South, while fighting against terrorism as well as the conditions that create it, and eschewing rightwing nationalism while refusing to concede the nation and patriotism to the Right. They must turn to Gramsci so as to rediscover and re-appropriate the nation, reimagine the ‘people-nation’ and build a ‘national popular’ bloc. Intellectuals such as Eric Hobsbawm and Stuart Hall diligently deployed Antonio Gramsci’s thinking to unpack Thatcher’s ‘authoritarian populism’ and its reworking of nationalism. They prescribed the application of Gramsci’s concept of the ‘national popular”. In the USA, a witting or unwitting ‘neo-Gramsci Lite’ helped shift the Democrats to its winning Clintonian culture in the 1990s. While its strength was that it outlined a new strategy, its weakness was that it did not outline a new public imagination. A neo-progressive public imagination must essentially be based on the moral and the ethical. An ethic of violence is a central responsibility. When violence is wittingly used against unarmed civilians, i.e. against the innocent, be it by states or movements, it is terrorism, is wrong and must be opposed. Terrorism cannot be deployed, condoned or ignored when it is directed against an entity we are inimical towards. The progressive morality has a more general applicability. If someone reveals the truth, says what is right, causing no harm to the innocent, he or she must be applauded and defended on that occasion—be it Assange, Snowden…or Trump (“you think we are so innocent?”). This is the only way by which the moral, ethical and intellectual hegemony that Gramsci spoke of, can be accumulated by the progressive cause. The neo-progressives must seek to occupy the ‘moral Sierra Maestra’ (as I have dubbed it elsewhere), the moral high ground, while always grasping the realities of politics and power. This is a difficult dialectic, but for those of us in the global South, Fidel Castro showed how the Nietzschean synthesis of “Caesar with the soul of Christ” could be even remotely approximated. In the kind of irony of history that Engels noted (and was popularized by Isaac Deutscher), the Left which forgot the nation, also—and not accidentally—forgot internationalism, substituting instead an undifferentiated globalism. A variation was the emphasis of either the national or the international, with the abandonment of a dialectical understating of the interrelationship. Most painfully obvious was in the country blessed with the Gramscian heritage, Italy, where the theoretical and strategic excuses for this gross error are the most indefensible. Achille Ochetto had the theoretical formation necessary for the critical interrogation of the heritage of the two streams of the Italian Left—that of Berlinguer’s Eurocommunism and the revolutionary stream of Hot Autumn ‘69 and the Brigade Rossi etc. Instead the chosen option was for ‘liquidationism’, and the Olive Tree coalition adopted the European project uncritically. Then when there was renewed hope with the Communist Refondazione, one discovered that it too had converted to the doctrine of NATO-ism and Italian military participation in dubious foreign wars. Refondazione’s NATOist deviation was the early forerunner of Syriza’s defection to the EU stabilization package despite the wish of the people as exercised in the Greek Referendum of 2015. Samir Amin was fond of quoting Stalin’s wry realistic remark of 1925 that “the Emir of Afghanistan is more progressive than the British Labour party”. That irony is now dwarfed by the fact that the British Conservative Party led by Theresa May is more respectful of the people’s verdict at the referendum than both the British Labor Party and Greek Syriza! Whatever criticisms one may have, Fernando Claudin’s double volume provided a model of historical interrogation concerning the history of the international Communist movement in postwar Europe. This rigorous critical model was never deployed by others to understand the post-Vietnam (arguably revolutionary) period of contemporary European history, encompassing the rich and diverse politico-strategic, ideological and theoretical expressions ranging from Santiago Carillo through Alvaro Cunhal to Otelo Saraiva Carvalho. Thus the European Left’s historic overthrow of dictatorships and a new, progressive, popular path to radical/social democracy was forgotten in the rush to embrace the Huntington-Toffler ‘Third Wave’ of liberal bourgeois revolutions. The moment of the 1970s, uncelebrated and un-theorized by the Left—except for the soon-forgotten, luminous last reflections of Nicos Poulantzas– was soon overrun by the moment of 1989 and the model of 1989-1991, of the Great Fall. Perhaps the last serious chance came in France, precisely the place that Engels said class struggles were fought out to a conclusion. The “occasion” (and I use the term in Machiavelli’s sense) was the courageous, principled rupture in the Left over the NATO bombing of Serbia; a rupture popularly identified with the figure of Jean-Pierre Chevenement. This provided the opportunity to rediscover and creatively apply the lessons of the Popular Front. In Europe what is remembered of the Popular Front is the alliance of the Social Democrats and the Communists, and all polemics concerned this equation, but what is forgotten is the significant national component; the rediscovery of the nation. Abandoned was Stalin’s final advice to Communists in 1952, namely to seize and raise high the banners of national independence and democracy. What should have been attempted was an ‘aperatura’ (as Berlinguer used to say), “an opening” by the anti-NATO left to the progressive aspects of the heritage of Gaullism. A neo-Gaullism of the Left, or a left-Gaullism was possible, adopting and thereby shifting to the left, the famous “certain idea of France” and a certain centrist role for France in the world; a role and vision of autonomy and multi-polarity that stood in contradiction to Atlanticist hegemonism. The ideological filiations between proto-Gaullism and a Popular Frontist left dates back to Malraux, and a reworking in the 21st century would have necessitated a revisiting of the heritage not only of Sartre, but also a search for a synthesis with Camus and Malraux. At the risk of sounding heretical, final political strategic writings of Poulantzas, as well as the 1977 essay by Regis Debray on Marxism and the National Question, and his two contrasting biographies of Mitterand and de Gaulle, in which the latter emerges as much the greater, provided points of departure for the project that I suggest was missed by the French Left on that occasion. Marine Le Pen is the result. The history of the Popular Front and its important adaptations in Asia encompassed both patriotism and internationalism, showing that these were not only compatible but complementary. In recent decades, the abandonment of one led to the abandonment of the other, or the unique emphasis on one led to the occlusion of the other. One another USUAL writer who would add more hay to the fire, would not add anything towards peace but more keeping in mind how all these could topple the current govt. This man DJ is no different to most abusive BBS lead, his only motive is to rabble rouse and get folks ready to attack current Premier RW. I have no doubt, if the current duo would work taking all the to their seriousness. Populism + Nationalism + The Left + a loads of lies = Sinhala/Buddhist fascism. Convey this message to the Tamils (Tamil speaking people) living in areas outside NE. That helps my agenda of creating a Tamil homeland for all Tamil speaking people by encouraging them to move out. You think you and I will be successful? However much we emphasize on the genocidal, discriminatory nature of the Sinhalese will a SINGLE Tamil move out? नमस्ते सोमस जी (Namaste somass ji) ———————————“That helps my agenda of creating a Tamil homeland for all Tamil speaking people by encouraging them to move out.” ———————————– जी (ji) Instead I wish to herd all those Sinhala/Buddhist fascist into a 10 square mile ghetto where they can honour and greet each other with Sinhala/Buddhist Nazi-Gruß (Nazi Salute) from dawn to dusk. For example Heil, mein Führer (Hail, my leader!) or Heil …………. (………… Greeting) Heil Fonseka (Fonseka Greetings), Heil Mahinda (Mahinda Greetings), depending on who is going to be the Führer (leader). DJ is far from ground realities. He just guess his thoughts and mind would fully have been coinciding with those of those ultra extremists. I have the feeling, DJ has been exaggeratiing and the devil is no black as thought to be. This man DJ should be put in a ququarantine for the benifit of the peace moves of the country. Last weeks election of Germany ‘s NRW made it very clear that Angela merkel CDU/CSU can win the election in September, not giving a chance to the leftist party SPD. So the leftists in Germany would not be easy in the days to come. Hear ye, hear ye, the great DJ goes on praising his own tail for the umpteenth time in these columns. What have we poor plebs done to deserve these great dollops of wisdom? LAC 3 etc: A separate memo says “hear ye, DL needs an ambassadorial role”. Er, its not the great DJ praising his own tail, its Dr. Benedikter of Stanford criticizing it…? And how on earth could the great DJ get onto the University of California Santa Barbara’s publication initiating the discussion, if he weren’t invited? Dayan the war monger, ———————– Why do you refuse to write about the whole sale grand theft of family silvers by the clan? —– Why do you refuse to condemn the fascist saffron clad thugs? ——-Why do you refuse to give details of innocent civilians killed by Gota’s boys, for instant name, address, —- total number of death? Why do you think you are a thinker? —————– What was your position on Eelam in early 1980s, 1990s, 2000, 2017? Do you think in a war its worth killing a large number of civilians to bring the war to conclusion? Why do you believe you and you alone brought 2009 UNHRC resolution favourable to the war criminals? My dear Native, this particular Moron would see a hair in the soup if he really wants to be supportive. He is so low level, AND no idea why he is crying today. Just to be in spot light, ” yes I am the one to know it better”; he just brings the kind of articles. Not many would even overread them today. Just verbal diahrrea only. He has always his pathological reasons to stand against the current men in politics. I have seen the goisspy so devious people, but you put all them together to make DJs. He makes every malicious efforts to make his God father the best. But people slowly get it today. It is so gross and offensive to see DJ’s disingenuous appropriation of thinkers which is always nothing more than a cipher to elevate that which is contrary to civilization. His inflated rhetoric does more to mask or mystify than reveal. Manning a checkpoint for left intellectuals and their legacies gives him narcissistic gratification and ideological jouissance. It speaks to the ego of a man who’s full of prescriptive hooey -internationalism, globalism, patriotism, nationalism – that concretely never resonates with his real political commitments to Sri Lanka or Sri Lankans. The Anglo-American academy knows nothing about this man’s consistent ideological and political support for what the left understands as fascist regimes and the genocidal Sri Lankan state. Gramsci cannot be deceived into seeing otherwise. KASmaalam K A Sumanasekera —————-“while grabbing what ever from the public purse before the party ends” —————————————————————True, the clan’s assets hit all time high, say $18 Billion by the time their party ended. Surely they would have thrown some crumbs at you. 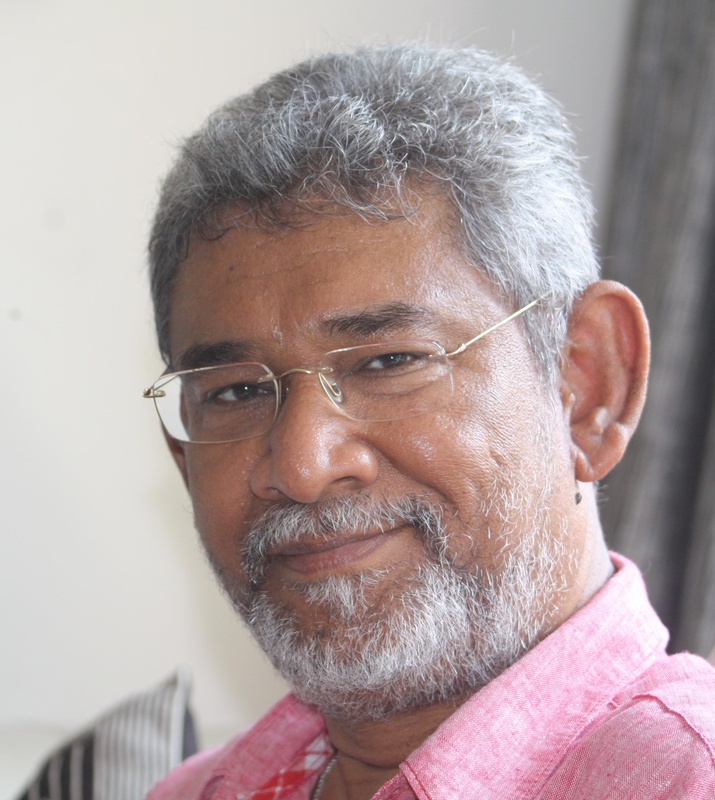 Why do you sound like Bandula Jayasekera? What DJ is advocating here — and has been advocating for some time– is an ideology that can be best described left racism, an infantile disorder in which, like children, its proponents identify with the most immediate social formation, such as “tribe”, and are incapable of seeing beyond that. And to bring Gramsci into the proposition is truly beyond the pale; but the Sri Lanka’s racists have no intellectual integrity any way. They will use any weapon to advance the racist cause. This is where your intellectual abilities are on display making a useful contribution to a new public imagination. Tell us how to combat neoliberal global order from the global south and popular-left perspectives in another essay? Keep up the good analytical work. Admiration from someone who looks like trying hard to be seen as as an “intellectual”, without success. Interesting article. The Left is indeed in a state of paralysis, as we saw with Brexit and the election of Donald Trump. Globalization saw the collapse of manufacturing in England (Thatcher) and the USA. Corporations found cheap labor in the form of outsourcing, particularly in East Asia. Central Banks discovered the power of low interest rates and so-called “quantitative easing”, which inflated stock prices beyond any reasonable metric. On the political end, you had the advent of third world immigration into Western Europe & North America, the formation of the EU, and the formation of NATO, which has been used by the USA and Western Europe to break up Yugoslavia, destroy Libya, forcibly occupy Afghanistan, and threaten Russia. All of these events have occurred within the last 35 years or so. One might ask, who was the beneficiary? Certainly not the average citizen. 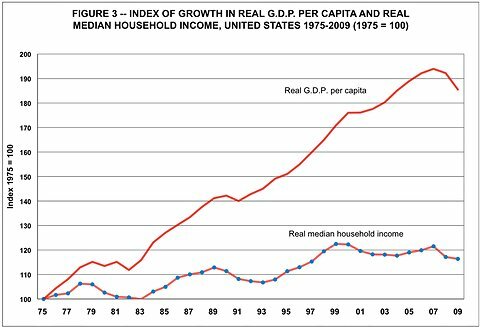 Wealth inequalities have continued to grow. See for example: http://graphics8.nytimes.com/images/2011/09/02/business/economy/02economix-growth-chart3/02economix-growth-chart3-blog480.jpg (think of real GDP as corporate profit). My predictions for the future: if the US continues to instigate wars in the Middle East on behalf of the military-industrial complex, the Leftist project will undergo further strain. Further migration into Western Europe could see the collapse of the EU as we know it. That, in turn, could see a new wave of nationalism. If central banks fail to find a working gimmick (they are now experimenting with negative rates), you may see populist revolts. Yes, remarkably close to my way of thinking. But then, why do you insist (in other posts) on blaming Muslims for all these wars? Are there in fact two Lesters? For the same reason that you insist on blaming Israel for starting all the wars. So, it’s not Israel but its allies that start the wars? The Sunnis will use any opportunity to kill the Shias. The Sunnis hate the Shias more than the Jews. Don’t you think the Saudis could have used their leverage with the USA to pressure Israel into a favorable settlement? Anyway, Trump just signed a $110 billion arms deal with Saudi Arabia. Some of those weapons will go to Jordan, and from Jordan to Syria, into the hands of anti-Assad forces. The rest of the weapons will be used to pulverize Shiite Houthis in Yemen, as Saudi has been doing for some time now. It is not entirely illegitimate that in many parts of the world, for the Right and Left, Putin is a hero; almost a role model, Why Putin good? He is capturing back the nations broke away from the forceful Union USSR. But Therese is becoming good only because she broke from EU. So as captured nations’ Union USSR is good, but as voluntary association, European Union is a cursed for these crooks. Whom do they fool? It is the failure of the contemporary progressives/ liberals in the West to challenge it that opened the space firstly for Brexit and then for Trump……………………….. In the West, Brexit was a revolt –and was denounced by the (cosmopolitan) Left……………………. These Zero casualty Humanitarian Rescue Mission crook preaches one thing practice and practice another think. Those are, who in the West dependent on Rupavahini and Rajpal after brutal Old Royals murdered 22 journalists and an unlimited ran out of country, believe this. 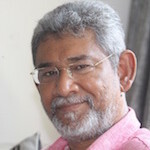 One led to abandonment of the other the Realities of the present time renewed assault on the Muslim community Sri Lanka saw Buddhist extremism targeting the Muslim community, continued their campaign to deprive of their right to return. The writer’s language, academic style and references are way beyond the scope of most readers of CT. However, he seems oblivious to these realities and as one critic stated, seems to subtly “praise his own tail” for want of a better description about what his intentions might be. This kind of article cannot be rationally debated by ordinary folk and is probably largely the preserve of political scientists and historians. In that context, he should seriously consider moving these to more appropriate fora where he could be debated with more insights. For all its citations to more recent authors, this program described, with the usual bombast, is really old hat. It was enunciated, with great eloquence in the Mien Kamp by you know who. He called it “national socialism” too !